I knew I brought my camera to work today for a reason! I spent most of the day in Wisconsin, but I happened to jet back into my cubicle around 3:30 when I glanced up to stretch and my eyes fell on something that had bothered me since Day 1. 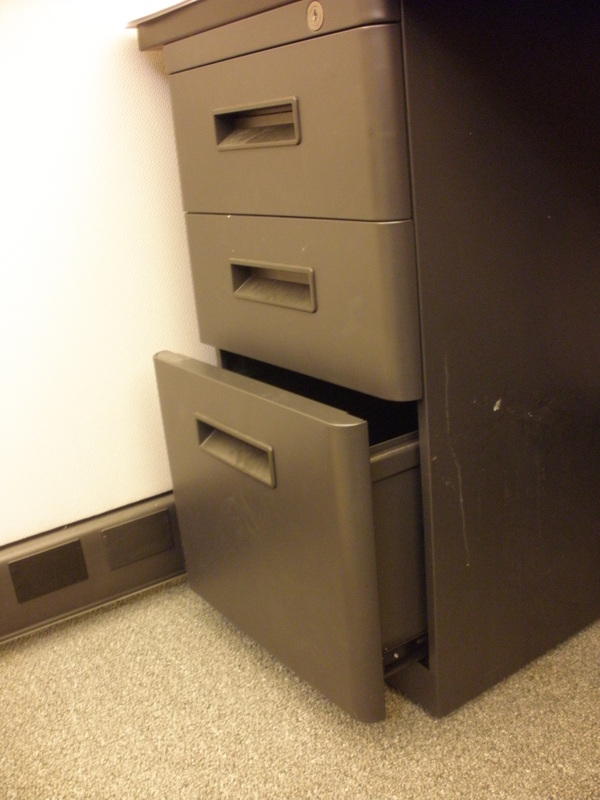 The problem was, of course, that the bottom drawer refused to close. I peered into the depths where no camera can zoom, and discovered a bunch of Brown. Paper. Bags.